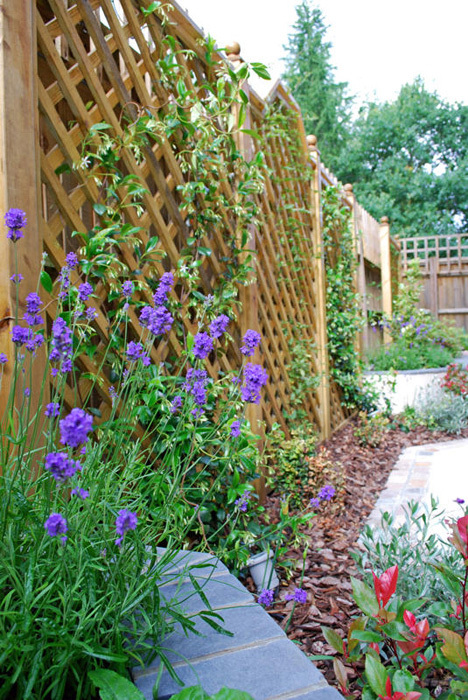 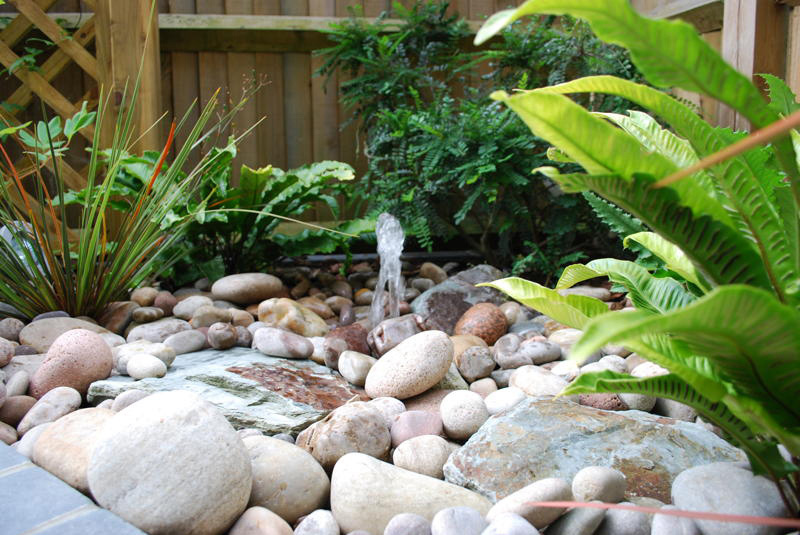 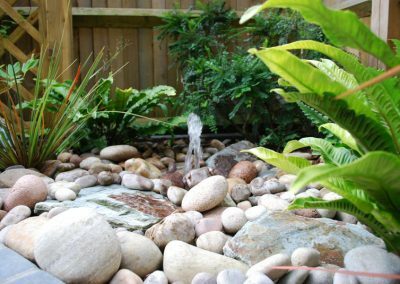 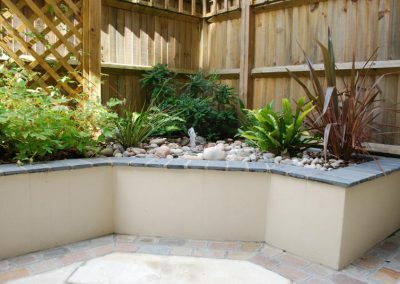 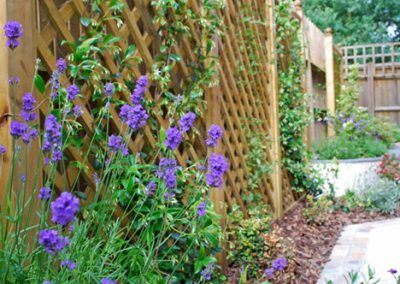 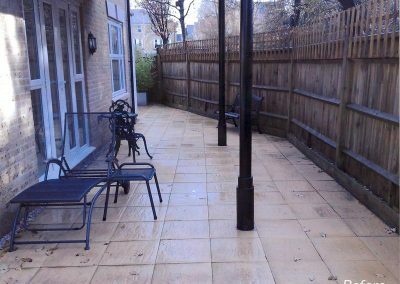 Our client asked us to transform her narrow uninspiring development plot into something altogether more interesting and bright. 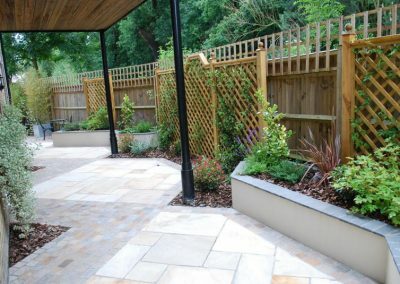 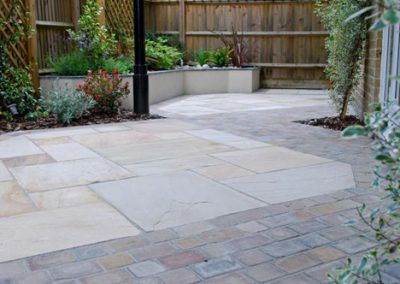 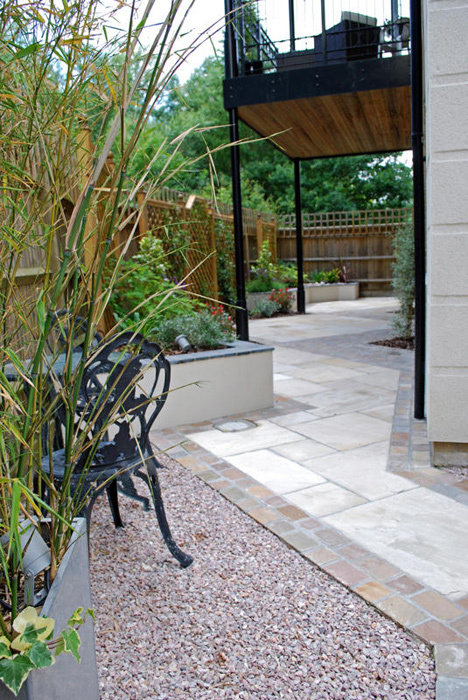 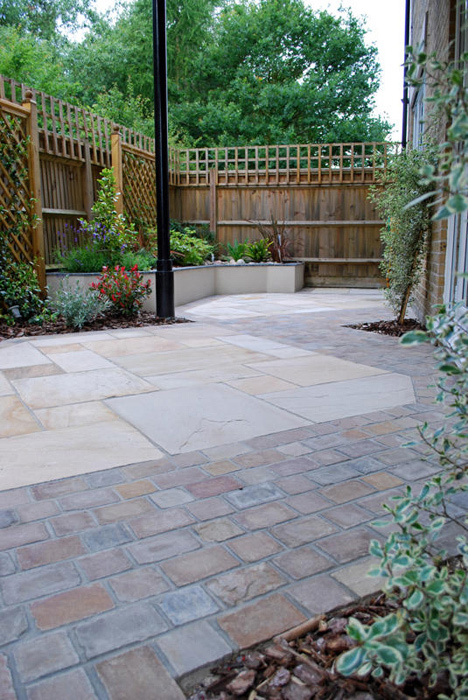 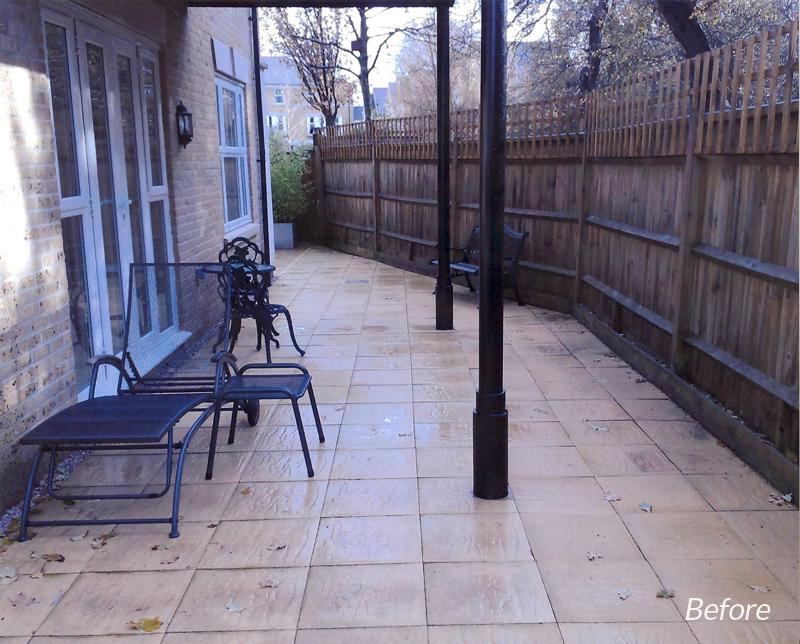 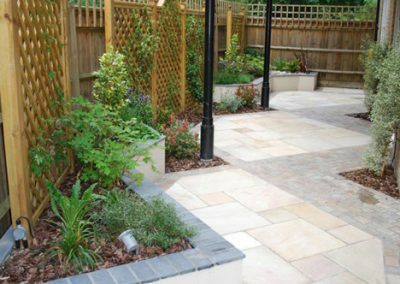 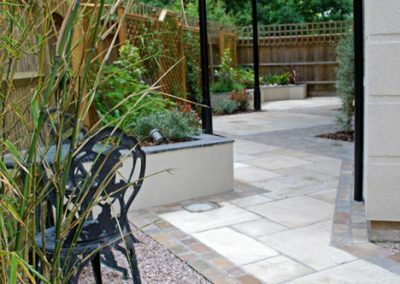 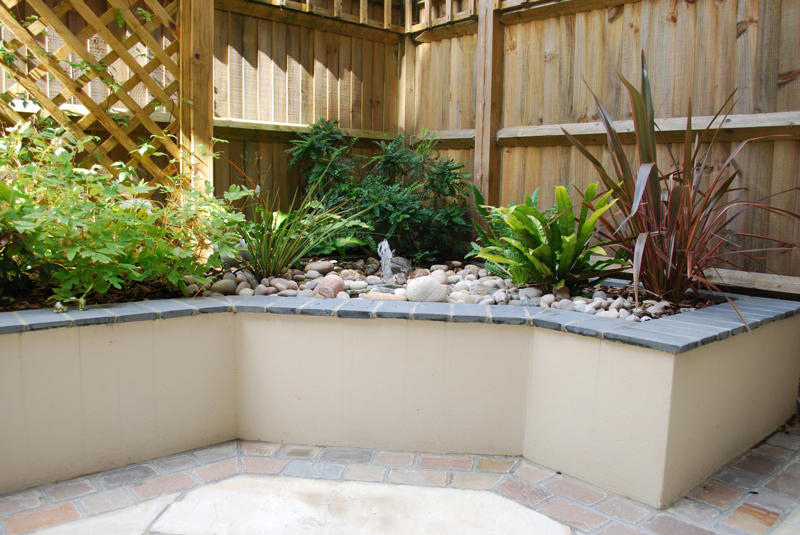 We created a change of angle with the paving in order to detract from the narrow feel. 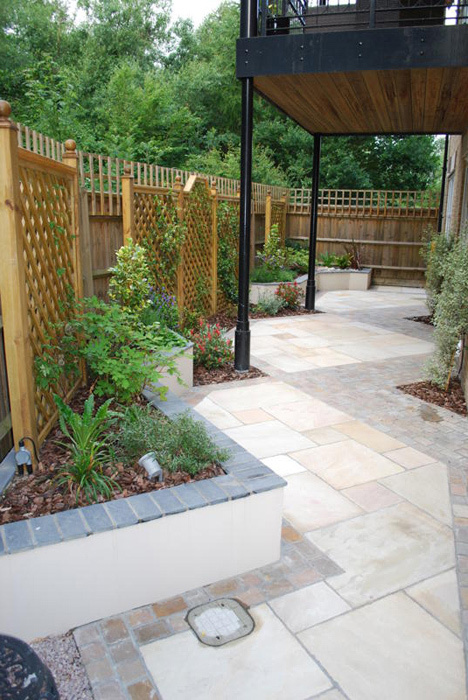 We introduced raised rendered walls and oiled handmade trellis to give a sense of scale to the space. 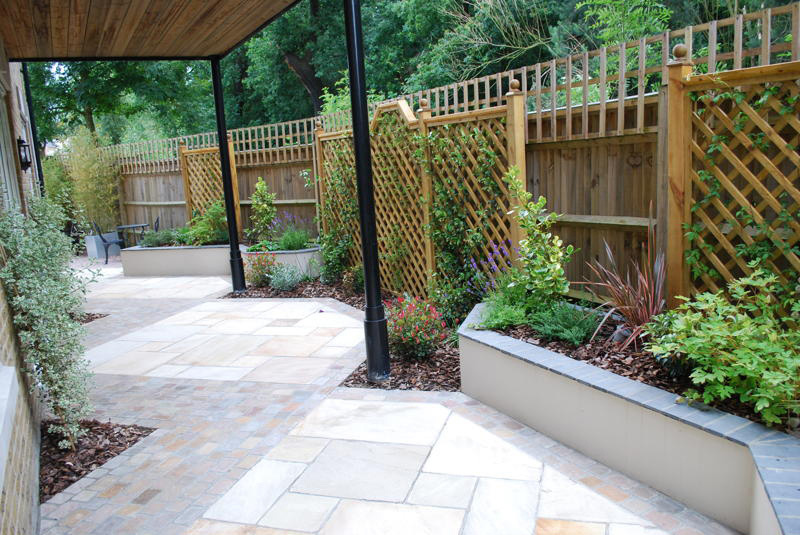 Main Materials: Sandstone slabs/cobbles, black limestone wall cappings and oiled timber.